Let's start today's post with a POP QUIZ. If you are a child of the 70s, then you know exactly what this is. 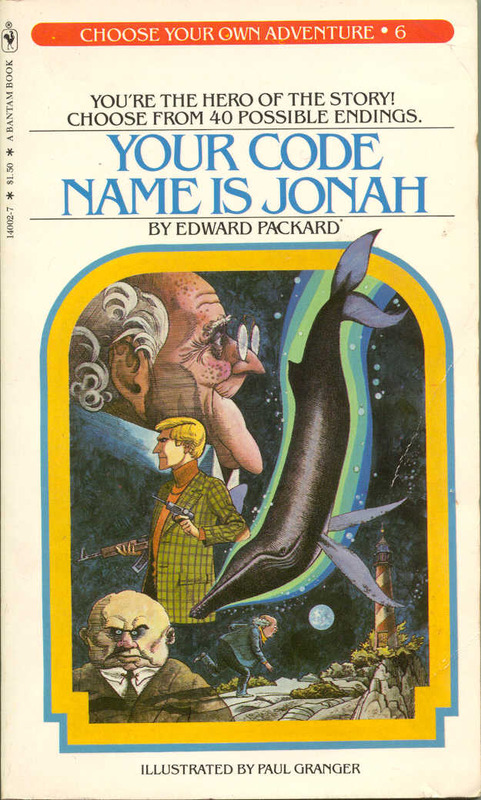 A Choose-Your-Own-Adventure Book. Oh, Choose Your Own Adventure. The books that were constructed entirely out of decision trees: read a couple of pages and then make a decision. If you open the door, go to page 72. If you decide to wait, go to page 245. And all of us did this: flipped to both of those and if you saw a short paragraph followed by the words "The End" you quickly took the other option to keep the book going. The stories were dark, often included kidnapping, murder and spy activity. But that's not what made them awesome. No, the interactive nature, the immersion in the story, the "you" perspective, made the books awesome. And in the end not only did you choose your own adventure, you chose to read. Which is saying a lot. Go on, take a trip down memory lane and see how many dead end pages you remember from your childhood. It's completely addictive, I promise!